Basically, in elementary school, most children are learning to decode. They do not learn to read until eighth grade or later. E.D. Hirsch, author of The Knowledge Deficit, explains the difference between reading and decoding. He calls decoding the sounding out of words from written marks, and only uses the term reading for understanding what those words mean. Most children can sound out basic words, but they usually don’t understand the meaning of those words. They can decode words, but they aren’t reading. The connection between listening and reading is this: if decoding goes with sounding out (and therefore hearing), then reading goes with listening. Teaching kids to listen will help them learn to read sooner and better. CKLA (Core Knowledge Language Arts) is a reading program designed to make use of this idea of decoding versus reading with excellent results. 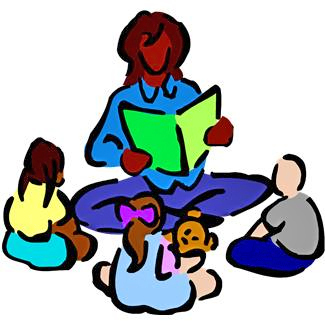 Its main vehicle for building knowledge is read-alouds. As children practice listening, they build their general knowledge and their understanding of words and word usage, which improves their overall comprehension and reading abilities. Some educators may feel that listening is too passive an activity, but brain scans done by Dr. Bennett Shaywitz of Yale on people while they are listening prove that listening is very active indeed. Why is it so important for kids to learn to listen? Just like an internet connection, our brains have bandwidth, also referred to as channel capacity. In youth, the bulk of our channel capacity is taken up with the arduous process of learning and applying decoding, leaving little mental space left over to process new or difficult meanings. 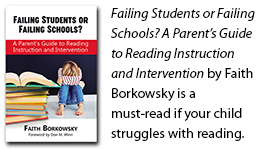 For children, the struggle to decode is the main barrier to understanding the written word. Although learning to decode is important, it may take many years before a student masters the ability to decode well enough to learn efficiently from the written word. So during those decoding years, the most efficient way for kids to increase their knowledge and vocabulary is through listening. How can I help my kids learn to listen? A great way to help kids learn to listen is to keep up (or start) reading aloud with them. Listening to you read and talking with you about what you just read builds their general knowledge and vocabulary and strengthens their listening ability. Interestingly, Thomas Sticht’s research showed that early listening ability predicts reading ability many years later. Learning to listen at a high-level is closely connected with learning to read at a high level. Once again, current science underscores the tremendous importance of regularly reading to children and having meaningful discussions with them. Very little in life will pay off such rich dividends.